Success in astrological magic depends on the devotional relationship of the magician to the planetary deities. If there is a particular planet whose goodwill you want, regular devotions – conversations in a sacred environment, prayers – can be just the thing to help you create a long-term relationship with the planet. Astrological magic devotions have to be astrologically timed, of course, and take a few minutes of your time, but they are extremely worthwhile. For example, you can create a little Jupiter shelf altar in your home, featuring the appropriate colors, pictures, statues, maybe some stones (amethysts, for example) and pure tin (Jupiter’s metal, and harder to find in its pure state than you’d think). Then, every week on Jupiter’s day, Thursday, and ideally in a Jupiter planetary hour, you can light a candle and some appropriate incense for Jupiter while expressing your thanks and wishes. Alternatively, you can create an altar to a malefic planet whose wrath you wish to avert, again featuring the appropriate symbolism. It can be that simple; the key to success is your attention and sense of sacred time you bring to the petition, and of course, timing with astrological magic. Devotions are the fuel of this sacred magical practice. Readers living near or traveling to historic locations have another option – petitioning the planetary deities in their native habitats, as it were. You may be fortunate enough to visit an actual historic temple of Zeus, for example, on your vacation. Take advantage of these occasional opportunities; though you may not be able to visit regularly – perhaps just once – the rarity of such direct encounters with the deities lends them a certain power, and can dramatically enhance your prayers and petitions. 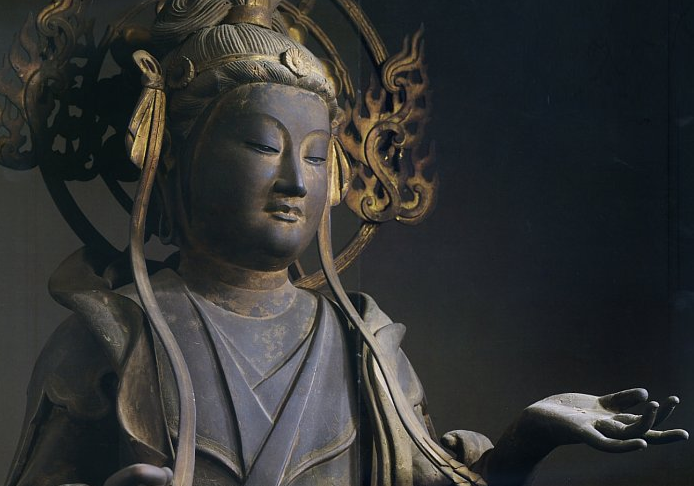 This winter, I had the opportunity to visit a temple in Kyoto that hosts the 1001 life-size statues of the goddess of mercy (Kannon). More relevant to astrological magic, the legion of Kannons is protected by 28 attendant deities, also life-size, lined up along the front row. As a great believer in the might of the 28 lunar mansion spirits, I took the opportunity to give a small coin to each attendant deity (conveniently equipped with a cash box). This was a once-in-a-lifetime opportunity to connect with the mansions differently than I usually do, in my home. In other encounters with the gods, offerings may not be possible (e.g. : visiting Aphrodite in a museum, where tossing coins at the statue may be frowned upon), but a personal, inward prayer while contemplating the statue is certainly traditional and effective. For those who are interested in studying the connection between the 28 deities and the lunar mansions, many of the 28 deities have a strong Hindu and Chinese lineage, featuring the Ashura, Daibenkudkoku-ten (Laksmi), and even the divine musician, Kinnara (whose name appears in the 36 decanic images). The lunar mansions themselves exist in Vedic and Chinese astrology, underscoring a long-forgotten symbolism joining the 28 deities and the mansions of the Moon. Consider these creative ways to connect with the planets in your own life. I look forward to hearing your stories.